of the late Doris (Wahl) Buchelt and William F. Regan. He was the husband of 26 years to Christina (Hale) Regan of Holliston. Robert was an aircraft technician who worked for American Airlines for 30 years as well as North American Airlines. 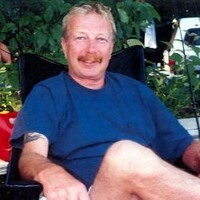 He enjoyed playing golf and hockey and was a skilled tradesman in many areas. Besides his wife, he is survived by two sons, Robert Joseph Regan of Brighton, Michael Patrick Regan of Potsdam, NY; his siblings, William Regan and his wife Nancy of Townsend, MA, Kathleen Harrington of San Diego, CA, Diane Maccagnano and her husband Richard of Hopkinton, John Regan of Hyannis, James Regan and his wife Judy of Franklin, and Daniel Regan of Sandwich. He also leaves behind many nieces and nephews. He is predeceased by his sister, Janet Davis. Click on the link to the obituary to see a video of pictures from his life.